As if in answer, Elmer appeared from behind the waterfall. 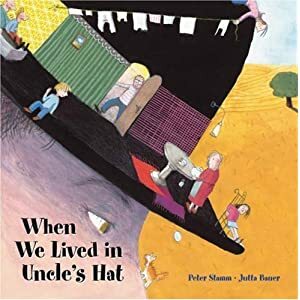 He still had his colours! The animals cheered again. 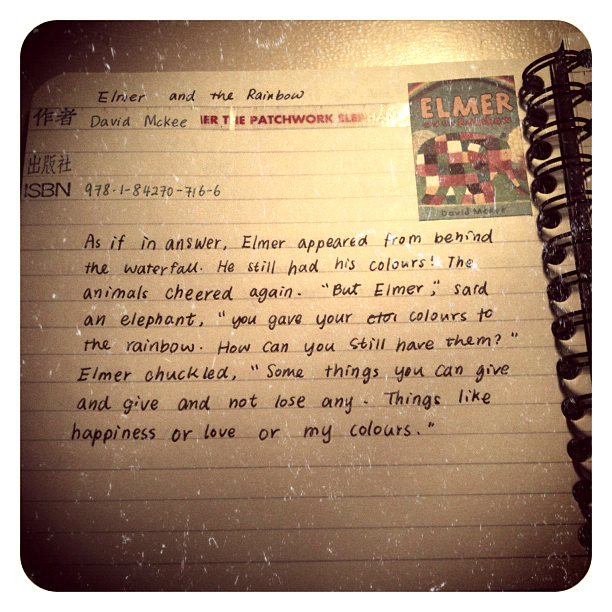 "But Elmer," said an elephant,"you gave your colours to the rainbow. How can you still have them?" Elmer chucked, "Some things you can give and give and not lose any. Things like happiness or love or my colours."